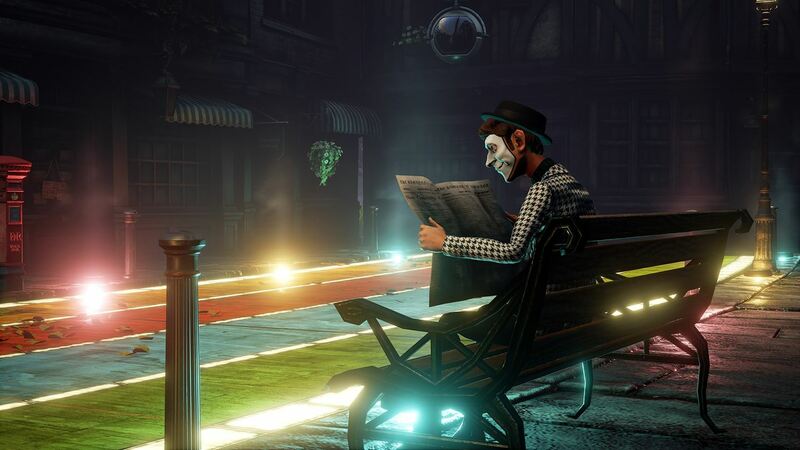 As I worked my way through the first 10-20 minutes or so of We Happy Few, it felt a lot like an homage to the BioShock series. Instead of being set in an underwater city or one floating through the sky, his one set in a psychedelic 1960s England. I went into We Happy Few fairly ignorant of the type of game it was. But as I worked my way through the game’s opening, and the real game unfolded, I was a bit lost. Correction – I was very lost. How the hell do I get out of this room? Was this a stylish action/adventure anything like BioShock? Or was it a survival/crafting game like the games Ark: Survival and The Long Dark? Turns out, it’s a lot more like the latter. We Happy Few is part of the Game Preview program on the Xbox One, and is considered an Early Access title on PC gaming services like Steam, which means that you’re essentially playing a pre-release version of the game. Well, actually, you’re paying to play the equivalent of an alpha/beta version of a game. There are a lot of benefits to this – you get to help shape the game by providing feedback. Being able to play the game before any body else does and for those who feel the need to be the first to try everything out, this might be right up their alley. The downside to playing (and paying for) a Game Preview/Early Access title, is that you’re essentially paying to play-test an unfinished game. There are disclaimers aplenty letting the player know the game may crash frequently or unexpectedly. In fact, there may be times where it will not work at all, or your save game data may become corrupted and unusable. It’s a risk to take. For some players is a big no-no, but for more more experimental gamers, who understand the conditions of the Game Preview/Early Access programs, it’s something of an adventure. 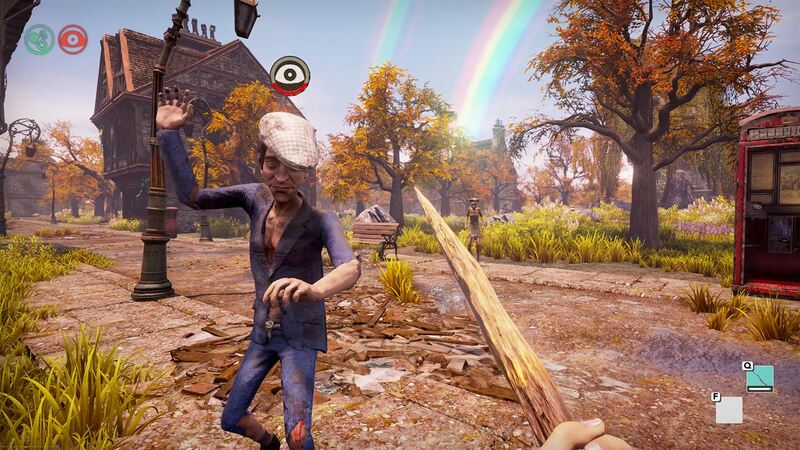 We Happy Few features permadeath, and by default it is enabled. Which means when you die, you start over from scratch. And you will likely die frequently, at least until you learn the ropes. I recommend turning off the permadeath until you’re more comfortable with the gameplay. When you’re ready for a challenge, enable it and best of luck to ya! 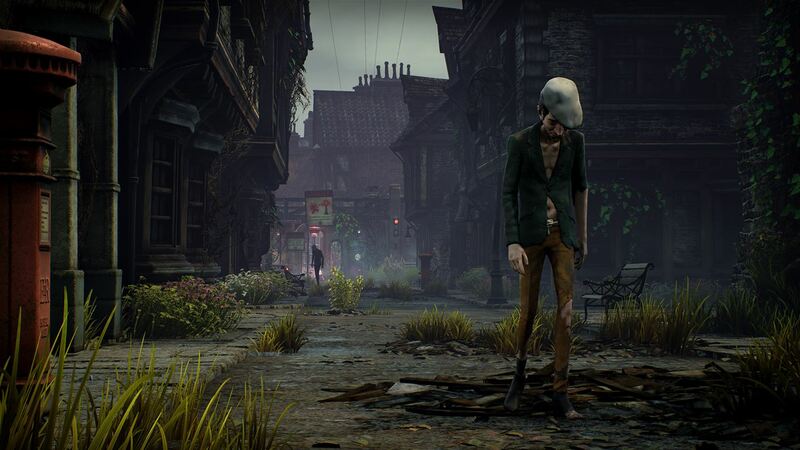 For those on Xbox One, We Happy Few is a survival game similar to other Game Preview titles like Ark Survival and The Long Dark. Your goal, as far as I can tell, is to stay alive, which means not only managing your general health, but you’ll also have to tend to your character’s hunger, thirst, and sleep needs. There are plenty of items to craft, and you’ll come across blueprints, but you’ll want to stock up on food and drinks – some of which may be poisoned or spoiled. I found the game enjoyable, but died frequently. Trying to stay alive in this crazy world is tough, and combat isn’t as easy as other your typical first-person shooter. Often times, I was caught stealing something and had to really struggle to kill or incapacitate my attacker, leaving me bruised, battered, and on the edge of death. 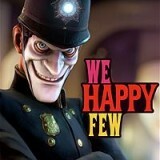 Would I recommend this purchasing We Happy Few? The answer to that is complicated, because it really depends on the type of games you like. For those who just want their games to work, and don’t have a lot of patience of possible crashes, then the answer is a resounding NO. However, if you’re one of those types of people who like to take part in public betas of products, like the Windows 10 or Xbox One Preview Programs, or have purchased other Game Preview/Early Access titles and know what to expect, then I think you might find this title to be interesting. 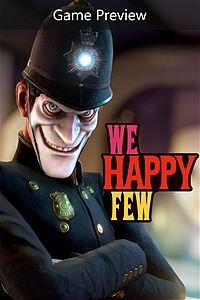 We Happy Few is available on Xbox One and PC for $29.99. A copy of the Xbox One version was provided for this preview.